When I was 14 years old I met my first love. He was 18 and he was big, strong, smart and beautiful. When I turned 15 he asked me to be his girlfriend. I was smitten and for a couple of months it was pure bliss. Within that year, he slept with my best friend, my cousin, and many others. I stuck around for months, hoping he’d come back and he would throw me a few crumbs from time to time and then off he’d go again. I gave him my heart and my innocence and in return he gave me heartache and sorrow. My very first relationship left me feeling broken, unwanted, unlovable, flawed and not good enough. It was a feeling I was very used to, a feeling that I had carried around with me my whole life. Looking at my life backwards, it makes perfect sense that my first relationship was really a reproduction of the dysfunctional dynamic that had developed between my mother and I. All of the pain and hurt was a manifestation of what I had been taught, as a child, to feel about myself. When I was studying Psychology we read and watched many experiments with monkeys. In some experiments these poor little monkeys were taken from birth and kept all alone with no contact with other animals or people for 6 months. The experiment placed the isolated monkeys in a play area with other monkeys, who had been together as playmates since birth. What happened? The monkey that had not learned or been taught any social skills was in absolute terror, backed into the corner and in obvious distress, as he watched the others running and jumping and playing, as young monkeys do. He had no idea how he should feel, or what he should do. He didn’t know if he was safe. Instead he was anxious and completely terrified. They repeated the same experiment over and over again with different primates and the exact same thing happened. So they could safely make the statement, that if x happens -then behavior y and z will follow every time, with every monkey. The same thing happens with other primates – like us. We know if children are emotionally abused or neglected you will usually find fearful, anxious youngsters, who have an impaired ability to trust, have low self-esteem, prefer to be isolated from others and have problems in their adult relationships. 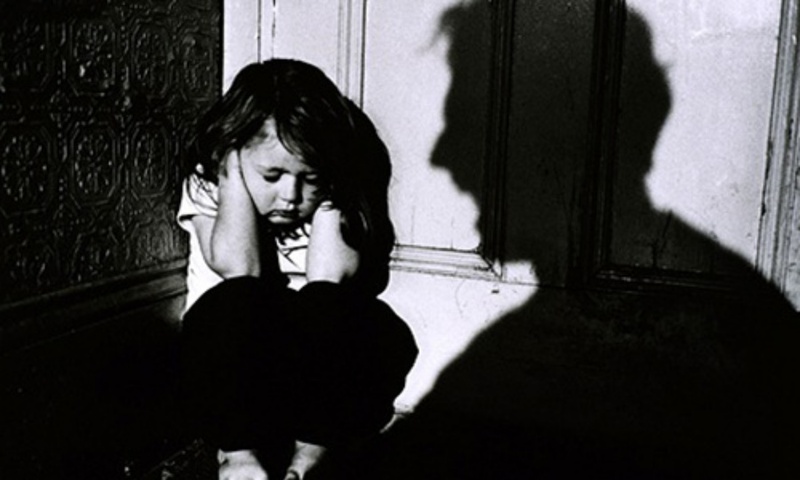 This usually manifests in different forms of substance abuse, early and risky sexual behaviors and there is always the possibility that children from abuse will repeat the cycle and abuse their own children. As a 14 year old, I felt so unloved and unwanted at home that I went looking for any type of love I could find. That need and longing for acceptance and affection took me to men and situations that I was not mature enough or prepared to handle. My upbringing was shame based. There was no communication, just a feeling that any attempt at a discussion was unwanted and unwelcome. When I began menstruating, my mother didn’t talk to me at all. She handed me a pad and a book and we never discussed it. We didn’t discuss boys, boundaries or birth control. I was going through the most difficult time in my life without any support or guidance and I was completely unprepared for adolescence and life. This is the child who is “9 going on 40.” This child takes over the parent role at a very young age, becoming very responsible and self-sufficient. They give the family self-worth because they look good on the outside. They are the good students, the sports stars, the prom queens. The parents look to this child to prove that they are good parents and good people. As an adult the Family Hero is rigid, controlling, and extremely judgmental (although perhaps very subtle about it) – of others and secretly of themselves. They achieve “success” on the outside and get lots of positive attention, but are cut off from their inner emotional life, from their True Self. They are compulsive and driven as adults because deep inside they feel inadequate and insecure. The family hero, because of their “success” in conforming to dysfunctional cultural definitions of what constitutes doing life “right”, is often the child in the family who, as an adult, has the hardest time even admitting that there is anything within themselves that needs to be healed. This is the child that the family feels ashamed of – and the most emotionally honest child in the family. He/she acts out the tension and anger the family ignores. This child provides distraction from the real issues in the family. The scapegoat usually has trouble in school because they get attention the only way they know how – which is negatively. They often become pregnant or addicted as teenagers. These children are usually the most sensitive and caring which is why they feel such tremendous hurt. They are romantics, who become very cynical and distrustful. They have a lot of self-hatred and can be very self-destructive. This often results in this child becoming the first person in the family to get into some kind of recovery. This child takes responsibility for the emotional well-being of the family. They become the families ‘social director’ and/or clown, diverting the family’s attention from the pain and anger. This child becomes an adult who is valued for their kind heart, generosity, and ability to listen to others. Their whole self-definition is centered on others and they don’t know how to get their own needs met. They become adults who cannot receive love, only give it. They often have case loads rather than friendships – and get involved in abusive relationships in an attempt to “save” the other person. They go into the helping professions and become nurses, and social workers, and therapists. They have very low self-worth and feel a lot of guilt that they work very hard to overcome by being really “nice” (i.e. people pleasing, classically codependent) people. These children grow up to be adults who find themselves unable to feel and suffer very low self-esteem. They are terrified of intimacy and often have relationship phobia. They are very withdrawn and shy and become socially isolated because that is the only way they know to be safe from being hurt. A lot of actors and writers are ‘lost children’ who have found a way to express emotions while hiding behind their characters. It’s difficult to read these roles, because I see myself in every one, except the first one, ‘The Hero’. I also see my siblings in these roles. My brother Andrew was the hero – I actually used to call him golden boy, because he could do no wrong. Michael was the peace maker, the placater, because all he wanted was for everyone to just get along. John was scape goat, he’s an alcoholic now. He’s so far gone, that none of us talk to him anymore. He had it the worst out of all of us. I am bits of the last three: the scape goat, the placater and the lost child. The purpose of this isn’t to throw yourself a pity party. The road to healing has to start here, because if you don’t know what’s wrong you can’t fix it. Shame based and emotionally-dishonest families have no idea how to communicate in healthy ways. They don’t teach boundaries, self-care, or the ability to express yourself freely. They hinder all of these things. An exercise that I did that was really therapeutic, was I thought about all of the healthy ways of being, that I wasn’t taught as a child. For instance – I wasn’t taught healthy boundaries with friends, co-workers, or lovers. So, what I did was I looked at all of my current relationships with everybody and when situations came up that made me feel uncomfortable, I didn’t just ignore it, like I would have in the past. I spoke up and made my wishes known. I added consequences for crossing those boundaries and I made sure that I followed through with those consequences. I taught myself to stop avoiding conflict and to learn how to communicate. I was awful, so awful at this. In the past I would ignore people if things got unpleasant – this is what I was taught. . I would usually be passive-aggressive when dealing with conflict. I had to teach myself how to be direct. I learned that being direct made everything so much easier for everyone. When I first started this practice I kept thinking, “What the heck was I so afraid of?” The more I practiced saying what I meant and meaning what I said the easier it got. There were other silly things like, my mother was a neat freak and was always on me to be neat and clean up after everyone. A part of me hated her and I rebelled by being messy. As an adult, I had to teach myself that it’s important to be neat and how to go about doing that. That rather than have several dishes in the sink. I wash them as soon as I’m done with them, or put them in the dishwasher. I never let them stack up I clean them as I use them. As a young girl I used to love long hair. All the girls in my class had long luxurious locks, but not me. My mother almost sadistically used to cut my hair so short it was like a boy’s haircut. I would cry and beg and plead, but she would always make it my fault and off came the hair. When I got older and became in control of my own body, I grew my hair so long and it’s still long to this day. I realized I had an unnatural fear of hairdressers, but people need haircuts, I had to teach myself to let go of the fear that I created and that I can have my hair any way I want, long, short, medium length and it’s all alright. Take a look at your own childhood. Do you fit into any of Sharon Wegscheider-Cruse’s childhood roles? What things were you not taught as a child that has caused you problems as an adult? Have you done the work by acknowledging and then releasing unhealthy behaviors and replaced them with healthy ones? Take some time today and do the work.